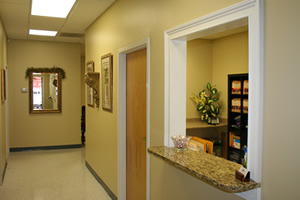 Comfort and convenience are the hallmarks of Miller Foot & Ankle Healthcare's office operations. To ensure your convenience, below is the information you need about our hours, location, appointment scheduling, insurance acceptance and billing. Please call our office at (770) 386-1234 to schedule a convenient appointment time. Our office accepts a variety of HMOs and PPOs, including Medicare, Wellcare, Amerigroup, Peachcare, Blue Cross/Blue Shield, United Healthcare, Cigna, Humana, PHCS, BeechStreet, Coventry and other Health plans. Please call our office to verify acceptance of your insurance carrier. We utilize a fully computerized and electronic insurance claim submission for patient convenience. We except Visa, Master Card, Discover, Amex, cash and checks.